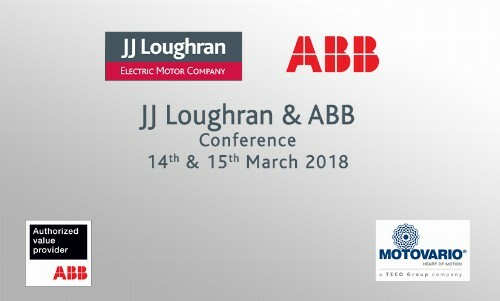 JJ Loughran as an ABB Authorized Value Provider (AVP) stock and supply ABB electric motors to 315Kw and access the rest of ABB’s range directly from European central stock. We can also dimension, size and specify the correct motor for your application either as a standalone unit or in conjunction with stocked gearboxes and controls that are often stocked and built in-house. JJ Loughran also carry out electric motor on site installations, repairs, preventative maintenance including thermal imaging, laser alignment, energy auditing and all round electric motor management. The new ABB Ability Smart Sensor. This new product from the ABB portfolio provides a cost-effective solution for condition monitoring your Low Voltage electric motors. JJ Loughran overview and company capabilities including Service and Stock Profile, MAC Center, Gearboxes sizing, Food safe oils & lubricant offerings used in our products and services. If you have any questions please let us know; additionally if you have any special dietary requirements please also let us know. sales@jjloughran.com or contact Iona Quinn at 028867 62295.